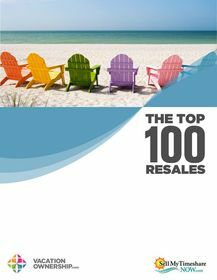 DOVER, NH--(Marketwire - Aug 15, 2012) - VacationOwnership.com and Sell My Timeshare NOW have released the company's annual TOP 100 timeshares report, listing the timeshare resales and timeshare rentals that receive the most offers to buy or rent through the company's websites. 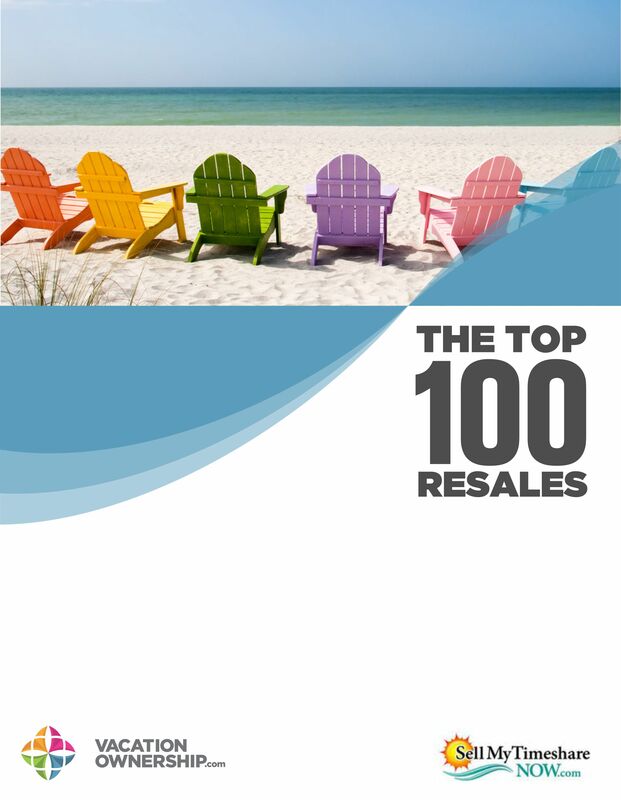 Presented as two downloadable reports, "The Top 100 Resales" and "The Top 100 Rentals" reveal which timeshares consumers are choosing for affordable vacations at spacious resorts in the U.S. and around the world. The Grandview at Las Vegas ranks as the number one most in-demand timeshare resale while Marriott's Aruba Surf Club ranks as the number one most in-demand timeshare rental, based on offers made through SellMyTimeshareNOW.com and the company's other websites. Overall, Marriott timeshares placed strongly on both lists, with three Marriott Vacation Club resorts making the top ten list for timeshare resales and six Marriott resorts dominating the top ten list for timeshare rentals. Two resorts making their first appearance among the top ten most in-demand resales are the Grand Timber Lodge in Breckenridge, Colorado and the Westgate Smoky Mountain Resort in Gatlinburg, Tennessee. The always-popular Manhattan Club in New York City also made the top ten timeshare resale list, as it has every year since the company began publishing this report. Sell My Timeshare NOW and VacationOwnership.com received 115,192 offers to purchase or rent timeshares last year, on timeshares at more than 2,400 different resorts. Of this total, the ten top timeshares on the list received 14,267 offers to buy or rent. Jason Tremblay, the company's founder and CEO explains, "The number of offers on timeshare resales and timeshare rentals made through our websites continues to grow. Buyers of timeshare resales are excited about vacation ownership, have comparison shopped for location, amenities, and price, and enjoy the convenience and savings of buying timeshare resales online." With offices in Orlando, FL and Dover, NH, SellMyTimeshareNow.com and VacationOwnership.com are proven industry leaders in timeshare resale and rental services, with an active inventory of over 40,000 vacation opportunities at favorite destinations around the world. Founded in 2003, the company offers online advertising services for by-owner timeshare resales and rentals, licensed timeshare brokerage, and customized owner services to timeshare resorts, HOAs, resort developers, and timeshare management companies.